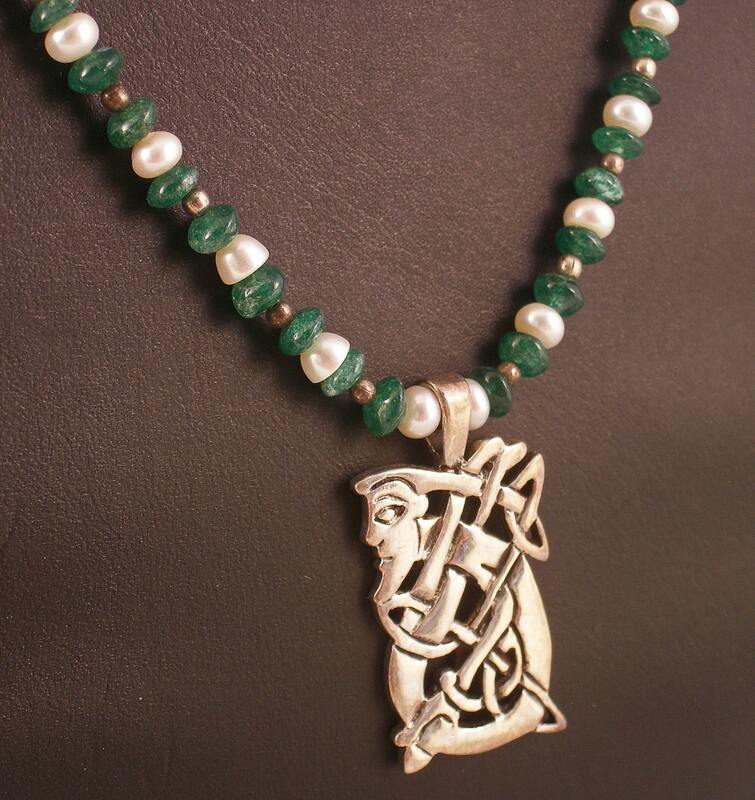 The mysterious beauty of the Celts is captured in this lovely pendant of a knotty Celtic man cast in Sterling Silver. 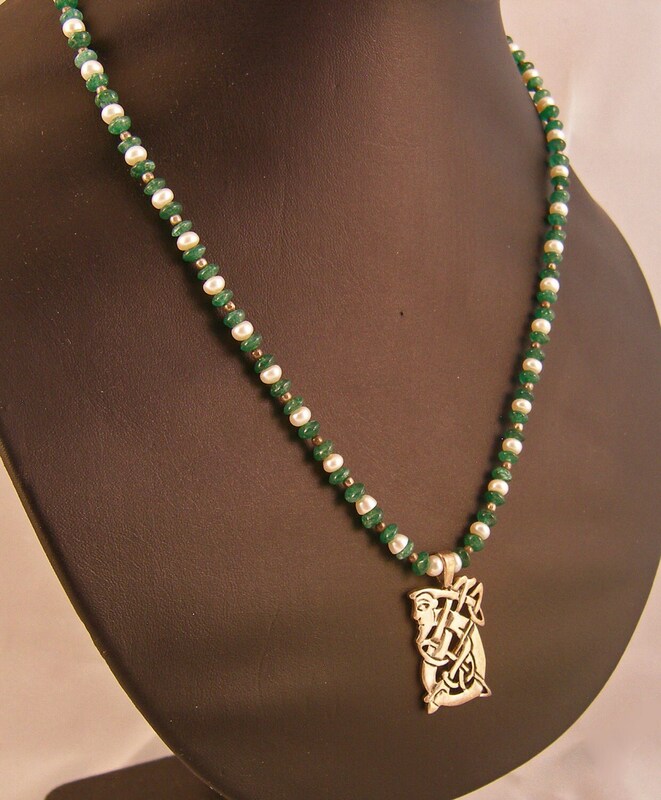 I paired this beautiful pendant with Freshwater Pearls, green Quartz, and diminutive Sterling Silver beads, then finished it off with a small bar clasp. 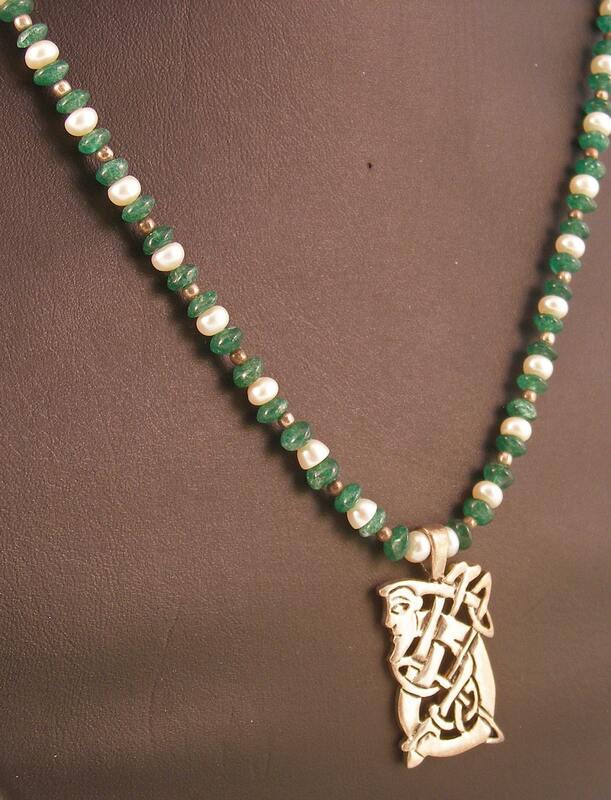 The necklace is 20 inches long and the pendant is an additional inch and a half long.